Professional Video Services Saves Your Memories! If you’re like most people, the chances are good that you have priceless memories stored on outdated video formats, especially if you grew up before the widespread availability of camera phones and the Internet. But just because these memories reside on video formats with limited product support doesn’t mean you have to give up on enjoying them again and again! There is no better time than now to save, transfer, or duplicate your videos so you can access the footage stored on them using updated and modern day media solutions. 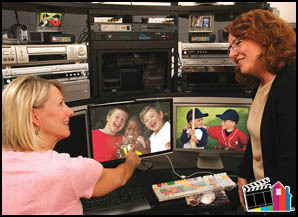 Video Transfer Services Our video transfer solutions are ideal for copying VHS video to DVD. By transferring the recording of these occasions to a more modern format, you never have to lose the ability to watch your favorite life moments trapped on an outdated format such as VHS, Beta-Max, Hi-8, Mini-DV, Super 8, 16 MM, and 8 MM. We take great care to provide outstanding video transfer solutions for all of your archival requirements! If you have video tapes that are damaged, you may not have to lose these recordings forever! Our Video Tape Repair Services are ideal for recovering memories stored on multiple older video formats so they can be enjoyed once again for many years to come! While there are some instances that we aren’t able to fix videotapes, most of the time we can recover and restore your video to close to an original state. Would you like to give a copy of a video to friends or family members? If so, our Video Duplication Services make getting copies easier than you ever thought possible! Keepsake Videos make for a great gift anytime of the year and are something that your loved ones will treasure forever! If you would like to learn more about how we can help you restore, repair, duplicate, or transfer your existing videotapes, give us a call at 440-988-7400 to speak with one of our video specialists! 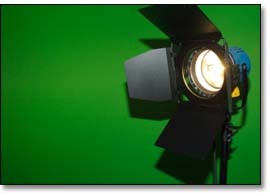 We are happy to answer any inquiries you have about our broad range of video services!